Who is more important: you or a group of your fellow nonprofit volunteers or professionals? 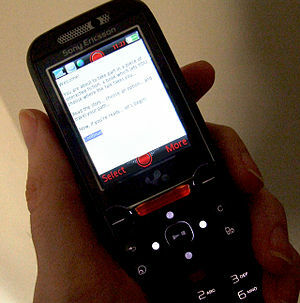 What signal are you sending when you direct your attention to your mobile device instead of the group’s discussion? If you believe the work of the organization or institution is unimportant, say so and work with your peers to restructure meetings. If not, give your attention to the business at hand. Each of you has carved out time from your busy schedules to attend the meeting: make the most of it. For many, time is now considered a resource even more valuable than money. Increasing demands on our time from work, family and volunteer commitments make it all the more important that time allocated for meetings be most productive. As nonprofit professionals are asked to take on more responsibilities the time dedicated to staff meetings becomes even more valuable. Checking your mobile device removes your attention from the discussion at hand. Your knowledge, expertise and insights are removed from the conversation. The opportunity for synergistic thinking, problem solving and strategizing diminishes as participants mentally enter and leave the group’s work with a glance at their device. And then there’s hurt feelings. Some people are offended when they are talking and others are texting or checking email. The sentiment can be, “Why should I bother if they aren’t interested?” The result can be a process of gradual or immediate disengagement. Observe your behavior and that of others in the next meeting you attend. How often do people check their devices? What is accomplished in the meeting? Ask reflective questions of yourself and others in the room: are our meetings boring? Too long? Are they structured to take advantage of the best thinking in the room? Are people coming prepared to meetings? When are people checking their devices and does that correlate to the discussion at hand? Make sure your meetings are worthy of the time you ask each person to give. Develop a protocol for the use of mobile devices. One corporate board asks members to place devices in a basket upon entering the meeting, and provides breaks for the purpose of checking calls and messages. Your nonprofit is as important as a corporate board. Reach agreement regarding the use of devices and hold each other accountable. Remind people of the policy when meetings are being scheduled, and again at the beginning of each meeting. You can use mobile devices to help advance the organizations you are involved with. Engaging and updating friends, colleagues, donors and supporters via Facebook, twitter, LinkedIn, Pinterest or Instagram increases the organization’s social media presence and reach. The same with calling and emailing to set appointments and provide updates. Mobile devices bring us together. Don’t let them drive us apart. This entry was posted in FUNdraising Good Times and tagged fundraising, meetings, mobile device, mobile device in a meeting, nonprofits. Bookmark the permalink.